It is refreshing to hear that William Donaldson, the chairman of the Securities and Exchange Commission, wants to reduce the cost burden that Sarbanes-Oxley imposes on businesses (see Newsmakers, page 3). Unfortunately, as is so often the case when the head of the SEC wades into the fray, Donaldson’s effort will almost certainly prove to be way too little, and way too late. While companies have already spent many millions of dollars tightening up their internal controls and improving transparency in order to conform to Sarbanes-Oxley’s requirements, it appears that Donaldson is planning to wait until next month before he even begins formal consultations on reining in the costs of compliance. The big four accounting firms—and plenty more besides—will be laughing all the way to the bank on this news. In the past year they have seen their audit fee income explode, mainly as a result of performing extra work for their clients to validate their internal controls. PricewaterhouseCoopers, for example, has admitted that its audit fee income grew by as much as 100% over the past year, and the others are thought to have enjoyed similar increases. That the accountancy firms are emerging as the biggest beneficiaries of the new regulations is deeply ironic, given they were at least partly responsible for the problems that led to the increased focus on corporate governance in the first place. And for the companies footing the bill, news of Donaldson’s attempt to bring down the costs of compliance will come as cold comfort. Businesses, particularly those that have already invested heavily in compliance, would be wise not to hope for too much from the review. Better yet, they should focus on the benefits they can gain from the changes they have to make. Ultimately, a business that complies with the new rules should become more efficient, better managed and more attractive to investors. 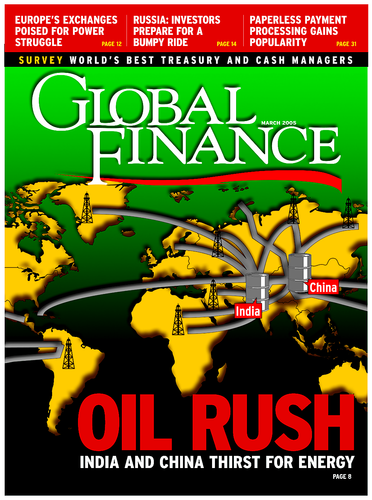 This month sees the launch of Global Finance’s new-look website at www.gfmag.com. We’ve overhauled the design to make it easier for readers to find the information they need, when they need it. Take a look and let us know what you think.